Stay in touch and boost engagement with your own online club community with our engagement software. Research shows that increased touchpoints improve retention rates. Our extensive suite of tools helps you drive interaction through powerful solutions for communication, motivation, and rewards. Every time your clients open your app is a chance to make a lasting impression. Our mobile experience will have them raving about your brand and service! Happy members will spread the word for you. So engage your members better and boost retention and acquisition while you're at it. 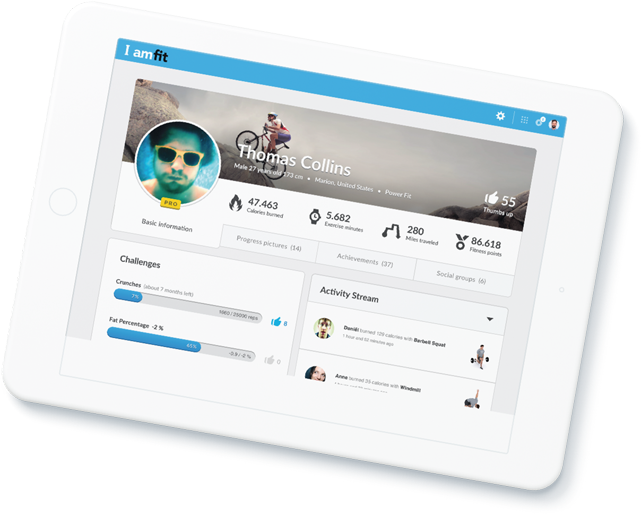 All coaches and members can activate their personal profile, where others can see their progress, read their posts, and more. Got some news to share with all your customers? Send mass messages, target specific segments, or even individual customers, via our flexible communication tools. Have members work towards common goals, or introduce some friendly competition! The challenge system can be tailored to suit your business. Our achievement system keeps track of platform usage and activity logs. The most active users can find themselves at the top of the leaderboard! Community members can encourage each other by liking activities and sharing motivational messages.